IVORY COAST – Ivory Coast, the world’s biggest cocoa producer, cut farmers’ pay for the new main season by more than a third as forecasts for a second annual global oversupply weigh on prices. Farmers will receive a guaranteed price of 700 CFA francs ($1.23) a kilogram for the larger of the two annual harvests that starts this month, compared with 1,100 CFA francs a year ago, Lambert Kouassi Konan, chairman of cocoa regulator Le Conseil du Cafe-Cacao, told reporters in the commercial capital, Abidjan, on Sunday. The price is the same as what producers got paid for the smaller harvest during the six months through September and is the lowest for the main crop since 2012, when the nation reformed the sector to secure better compensation for farmers. The pay would’ve been even lower if President Alassane Ouattara hadn’t agreed to suspend registration taxes for exporters to support prices, Konan said. Cocoa futures slumped by more than 40 percent in the 12 months through April and have struggled to recover since, partly because bumper crops in both Ivory Coast and neighbouring Ghana, the No. 2 producer, bolstered expectations for a global surplus of the beans. World supplies may exceed demand by 97,500 metric tons in the 2017-18 season, according to the median estimate in a Bloomberg survey of 10 traders, analysts, brokers and grinders last week. Grinders have built sufficient stocks while a likely decrease in global production won’t be enough to support higher prices, Konan said. The farmgate price decided by the government isn’t high enough for the thousands of farmers growing the beans throughout the West African nation, said Robert Kongo, the head of a farmers’ cooperative based in Duekoue, in the country’s west. “We are not happy at all. We were expecting a better price than the one of the mid-crop,” Kongo said after the announcement. Prior to Sunday’s announcement, Ouattara consulted with his Ghanaian counterpart, President Nana Akufo-Addo, to narrow the price gap between the two countries, Konan said. Ghana has chosen to keep prices unchanged at the equivalent of $1,725 a ton since October last year and is ruling out a cut for the new season, raising the likelihood of smuggling from its neighbor. “If Ghana maintains its price as Ivory Coast does, it’s clear that cocoa will flee to this country,” Konan said. “The presidents have discussed. I don’t know the outcome but I think that certainly they will reach an agreement. The cocoa regulator gave 15 vehicles to security forces to increase surveillance of border areas, Konan said. 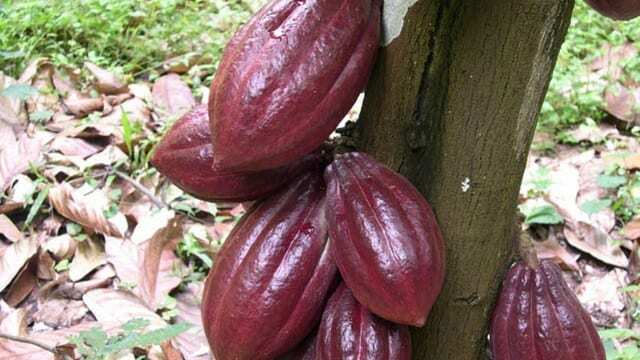 Ghana will start the new season’s purchases on Oct. 13, Joseph Boahen Aidoo, chief executive officer of the regulator known as Cocobod, said on Sept. 29.